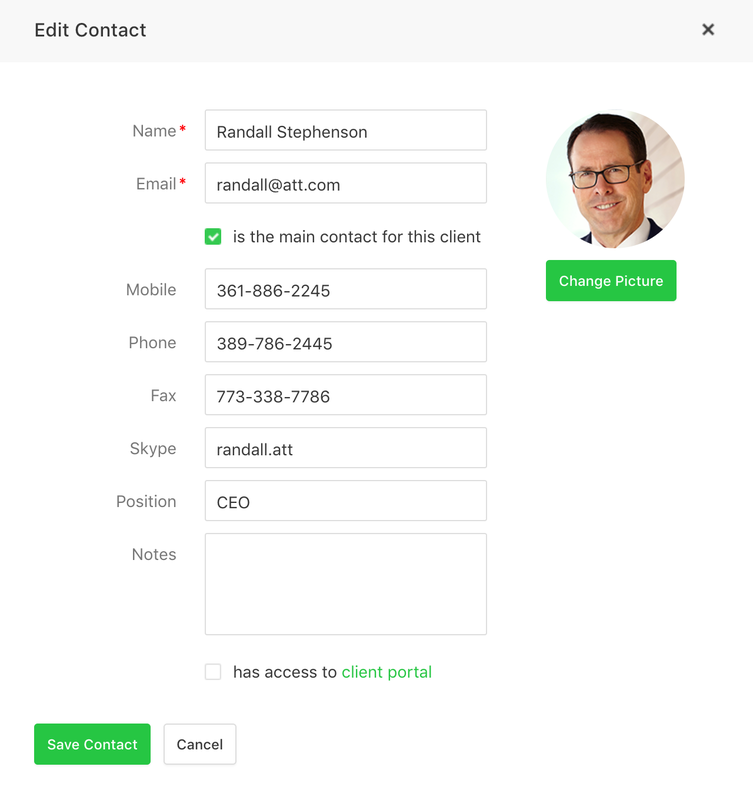 Each client can have multiple contacts. In order to add a new one, you need to go to the desired client in the Clients section → Contacts → Add contact. These contacts can be used when sending estimates, invoices or late payment reminders. You can also add notes and grant them access to the client portal.